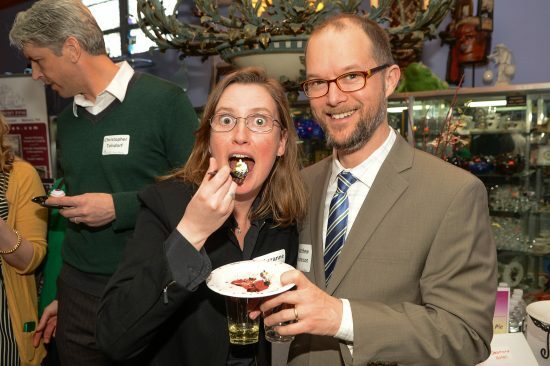 (WEST CHESTER, PA – February 4, 2019) – Imagine sampling the region’s most delectable desserts while meeting and greeting community members, philanthropists and friends celebrating 25 years of local legacy philanthropy. That’s how Silver Sweet Charity guests will welcome the spring season on March 25th, to celebrate Chester County Community Foundation’s 25th anniversary. Silver Sweet Charity is a tasty night out for a good cause, but it is also a serious dessert competition. The finest local dessert chefs gather their crowd-pleasing creations to compete for three prizes: Most Popular Dessert, Best Presentation and Professional Judge’s Choice. Guests vote on the Most Popular choice, while judges deliberate on the professional winners. Sweet Charity is not all about dessert, it is also a thoughtful gathering place for those who care about the important work of local charities. Grants are given in honor of the winning chefs, based on the nonprofit of their choice. Sweet Charity benefits the Chester County Community Foundation, which has been growing legacy philanthropy throughout the region for 25 years. 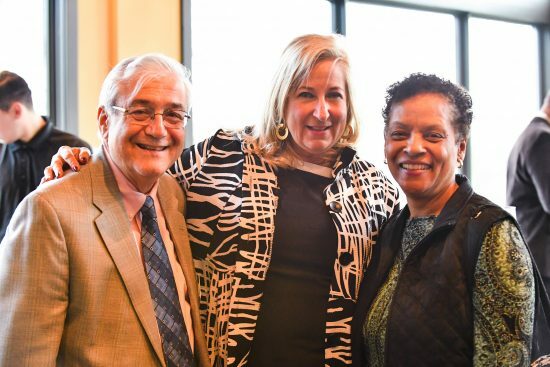 The Community Foundation helps families and businesses become involved in charitable giving for the long run, by encouraging legacy gifts and increasing awareness of the needs and issues facing Chester County. The Community Foundation holds nearly 400 funds in trust and annually awards $2.5 million in grants and scholarships. All are invited to attend. Tickets begin at $125. For more information about Silver Sweet Charity or the Community Foundation’s philanthropic programs, call (610) 696-8211, or visit www.chescocf.org. Photo caption (top, left to right): Robert Madonna, Christen Wagoner and Regina Lewis. Photo caption (bottom, left to right): Suzanne and Matthew Roberson.